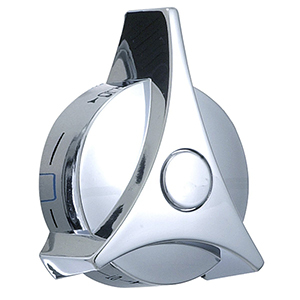 Symmons is a brand that is known for its beautiful chrome finishes and its durable replacement shower parts. 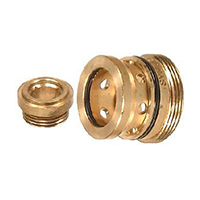 This brand offers a broad range of Symmons Temptrol parts, Symmons shower valve parts and Symmons Safetymix parts to suit all your bathroom remodel or update needs. The shiny finish will add an instant elegant touch, and the durability of this brand will ensure you won't have to worry about them re-breaking as soon as you have them installed. They are also built to be scratch resistant, and will stand up to everyday wear and tear extremely well. Symmons replacement parts are a cut above the rest and designed to incorporate into any decor with ease. 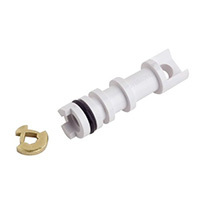 Find Genuine Symmons® replacement parts for your faucet or shower valve. 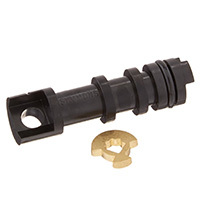 We have the complete selection of Symmons cartridges, handles, spindles, trim kits and more. 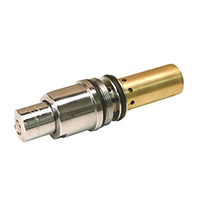 All parts that we offer are 100% OEM Genuine and made by Symmons. Symmons® Escutcheons and Trim Parts for all shower models. Find Temptrol and Safetymix face plates for your Symmons shower faucet. Find Genuine Symmons® Handles and Levers for all shower models including Temptrol, Safetymix and Showeroff. 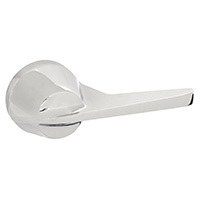 Complete selection of replacement handles for all Symmons lavatory and kitchen models. 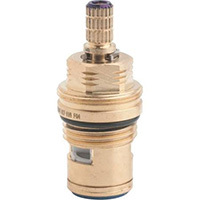 Find Genuine Symmons® Stems and Cartridges for all SafetyMix and Temptrol models. 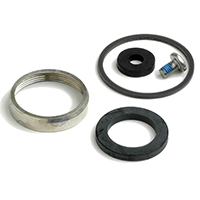 Fix your Symmons pressure balancing valve with a TA-10 or C-5 repair kit.